Jordan Brand is really making waves in the first month of the brand new year with their combination of new models like the Jordan Melo M9 and retro kicks like the recently-released edition of the Air Jordan 13 Retro. The Air Jordan 13 Retro kick was recently released in Black/Varsity Red – White colorway or more popularly known as the “Bred” edition. 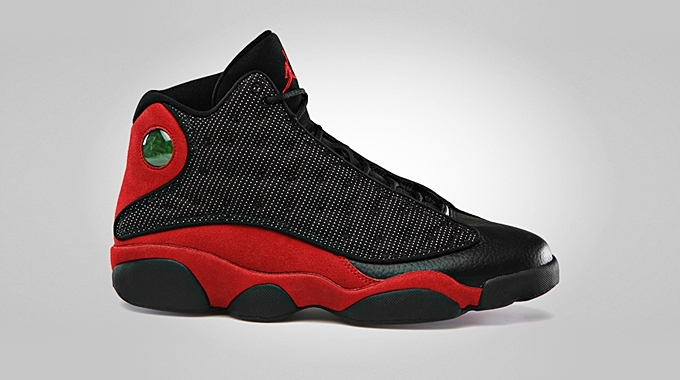 This edition of the kick, which was first released in 1998 and was designed by Tinker Hatfield, was inspired Michael Jordan’s “Black Cat” nickname. The shoe features tumbled black leather, red nubuck, and padded black mesh on the upper part and enhanced with a hidden lacing system and holographic logo. Get a taste of retro and greatness with this kick! Air Jordan 11 “Bred” Returning This Year?